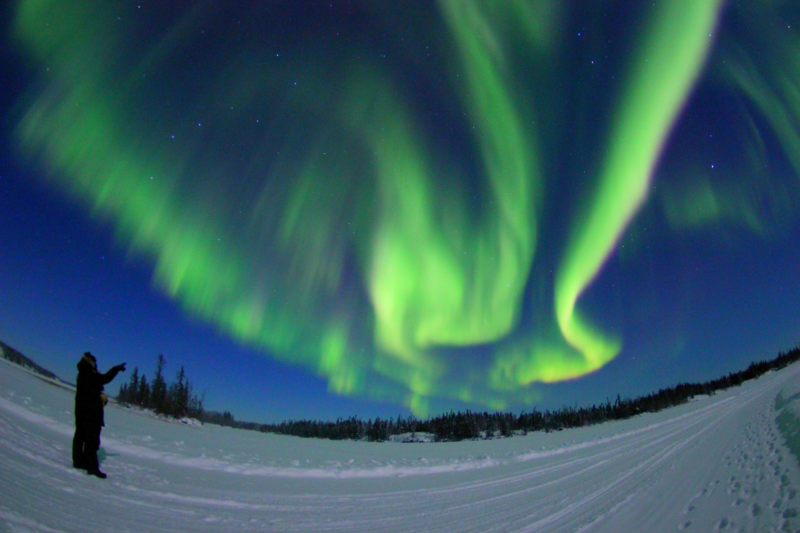 Hunt for the mystical Aurora Borealis, or more commonly known as the Northern Lights, and then dine at the classy Aurora Village lodge restaurant. 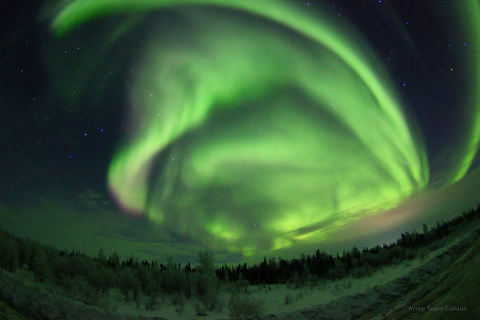 The first 2 nights of your tour will take you into the wilderness to search for the best aurora viewing. Transportation is included to and from your hotel. On your third night, the tour takes you to one of the world's best aurora viewing facilities featuring heated tee-pees. Wine and dine at the Aurora Village camp whilst waiting for the Northern Lights to paint the sky for you. At the end of the tour your driver and guide will guide you back to your hotel. 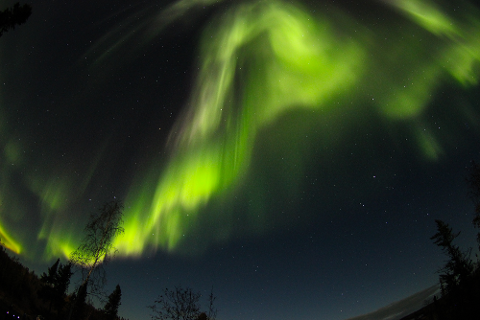 Night: Pick up from hotel and depart for aurora hunting into the wilderness. 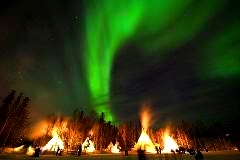 1 night of 4 hours aurora viewing tour at Aurora Village in heated tee pees. Winter gear available to rent for winter aurora season extra cost. SUMMER - FALL SEASON - Hiking Tours, Wildlife Bison/Buffalo Tours, Yellowknife Sightseeing Tours, Glass Works Workshop, Horse Wagon Pulley Tours, Photography Tours, Fishing Tours and Aboriginal Stone Carving Tours. WINTER- SPRING SEASON - Dog Sledding Tours, Snowmobile Tours, Yellowknife Sightseeing Tours, Ice Castle Pass, Aboriginal Stone Carving Tours, Snowshoeing - Ice Cave Tour, Photography Tours, Winter Hiking Tours, Ice Road Tours, Glass Works Workshop and Ice Fishing Tours. Optional add-ons tours are available on check-out page at discounted regular rates when purchased with hotel package..